Age, heavy use, and weather can leave your barbecue grill with a dull finish and rusted. 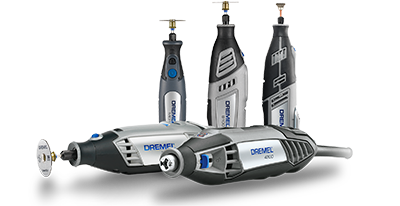 Get ready for a new grilling season with a fresh-looking grill when you use your Dremel rotary tool to prepare it for painting and remove cooking residue. Tip: If you scrub the hot cooking grate with a grill brush immediately after cooking you will minimize grime build-up. 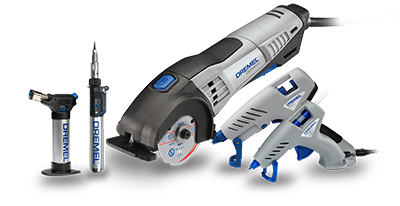 On metal surfaces, remove surface corrosion by grinding rusted areas to the base metal with the 932 aluminum oxide grinding stone. The cleaned metal is now ready to prime and paint. Remove rust from metal and corrosion from aluminum with the 511 abrasive buff. Do not run in excess of 15.000 rpm. The 511 abrasive buff can also remove grime from the cooking grate. After the grill is clean, treat it with vegetable oil to prevent food from sticking.